Our tour continues across Tokyo to the Imperial Palace East Gardens. Enjoy a pleasant walk in the East Garden of the Imperial Palace, which is filled with scenic and historic beauty. (Alternatively for tours on Monday & Friday & when the garden is closed, we will visit the Imperial Palace plaza and famous Double bridge instead). Our tour will continue with a drive and stroll along Ginza high street, the famous shopping area of Tokyo. 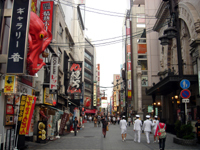 The tour disbands in Ginza, giving you a great opportunity for shopping. We highly recommend you visit the Sony Centre building to see the futuristic electronics on display. Ginza is also convenient for the subway to explore further areas of Tokyo. 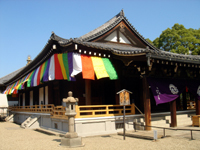 Free day to explore Tokyo at your leisure or purchase an optional full day tour to either Nikko, or Kamakura and Yokohama. Check out of your hotel in the morning and leave your luggage with the bellboy. 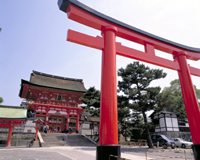 You are then free to further explore Kyoto before taking the train to Osaka (train tickets provide). The JR train from Kyoto to Osaka, is a regular local train service and does not require reserved seats. Therefore you can take the train whenever you like. Upon arrival at Osaka, check in to your hotel. Our standard hotel is the New Hankyu Hotel, which is very conveniently located just minutes walk from the JR Osaka station, therefore making your transfer very easy. Typical of many hotels in Osaka, room sizes are small and basic at 20sqm. 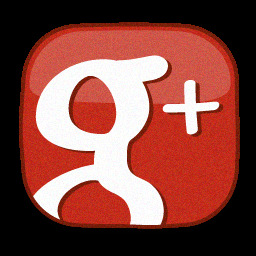 If you prefer a larger room, we can arrange upgrades. In the afternoon we have a guided tour of Osaka. 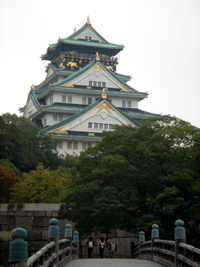 With our tour guide we visit the magnificent Osaka Castle. Later we walk to Osaka port and take an hour boat cruise along the Okawa River, with great views of Osaka Castle, Umeda Sky Building and City Hall on Nakanoshima lsle. The cruise is particularly beautify during Spring cherry blossom blooming and Autumn seasons. In the early evening after the tour you have free time to exploring Osaka. 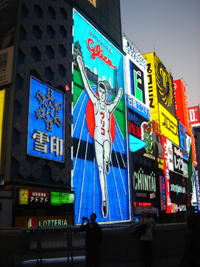 We recommend visiting Dotonbori which is one of the most popular streets in Osaka and nearby Domi domi shopping and eating areas are one of the most exciting districts in Japan. Alternatively Shinsaibashi is probably the best shopping area and certainly the most frantic. 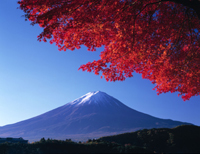 Optional tours & Ryokan stay. This tour is suitable for travellers of all ages, who are reasonably fit and healthy. Add on tours and city extensions are available, for details visit our optional tours page. Tour itinerary revised August 2014 and applicable to all future new bookings based upon the above itinerary.